After an eventful and successful 2015 it was time to honour and appreciate Chesterville tutors who played a first-hand role in assisting the kids in passing and improving their marks. 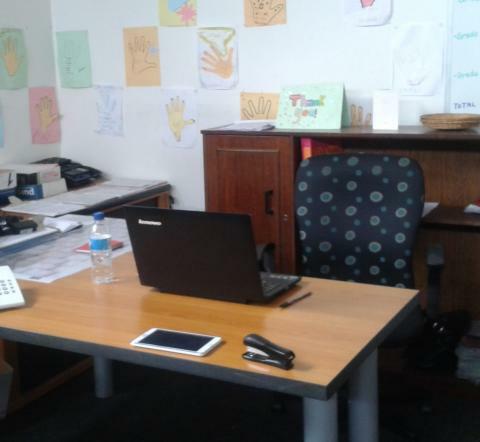 Tutors openly volunteer their time and knowledge to the children without any monetary compensation expectations. The least we could do as a branch was to show love and appreciation. It was a unanimous decision that we all go out to Galleria Mall for lunch and games, just to relax and have fun, and for the tutors to get an opportunity to unwind while building stronger relationships with each other, and with staff, as a team. 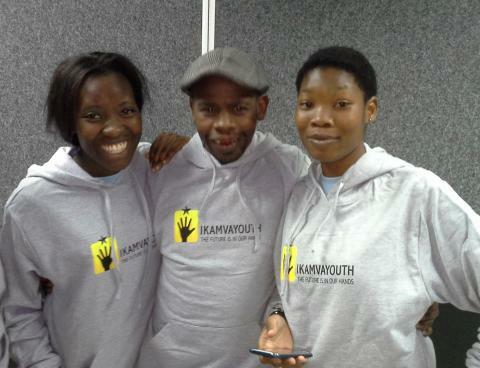 After the delicious and filling meal, the tutors were handed hampers containing an IkamvaYouth branded hoodie, a thank you letter and a small goodie inside. The tutors had been divided into teams earlier, and were asked to create a name for themselves and form a war cry for their team. After the lunch and mini prize giving, we then played a remarkable game of tenpin bowling the members of each team started teaching themselves and each other how to bowl, it truly was a fun experience as teams were cheering each other and smiles and laughter was shared. By the end of the session some were looking like semi-pros, while the rest of us were merely just enjoying the thrill of knocking down as many pins as our hands could possibly manage, however minimum they were. We then capped off the day by playing some arcade games which everyone seemed to love, well the screams of excitements and game reflexes were enough for us to draw that conclusion. Some people obviously flourished more than others in the gaming department, but the end result was the same which was people having massive amounts of memorable fun together as the IY family. Not only was it a successful tutor appreciation but it also became a team building adventure which brought forth excitement and smiles. Gciniwe Zulu one of the tutors shared her excitement “the day was good and indeed it was an awesome trip, we enjoyed ourselves by playing games, being together as the IY family. It was a way to know each other as tutors. IY has been really good to me, it helps us with school work and also gets us feeling better about ourselves, although sometimes it can be a pain in the neck but at the end of the day it’s really been helpful. Winter school was totally epic and fun especially on our sports day. It was fantastic, there was this one fellow in the red team, who stood up on the ABI stage and was dancing; his name is Asanda Gumede Grade 11 learner, now soon to be in in Matric :D. He is pretty well known at IY, in fact a lot of people know him for his drama queen tendencies, laughing, making jokes those sort of things. I really enjoyed the sports day though. 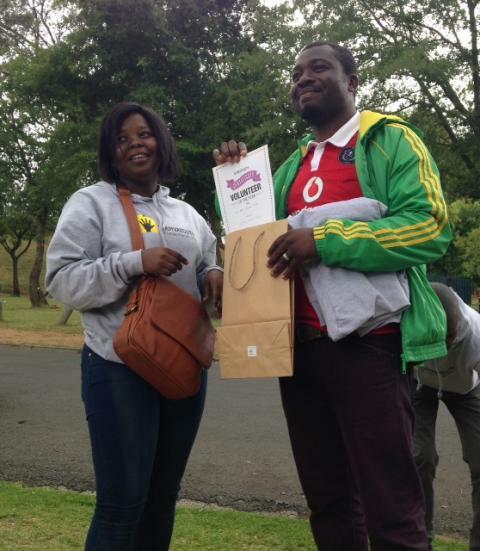 Ikamva Youth helps us achieve our goals and what do I mean by that? Well let me tell you, IY helps learners especially matrics in entering university or any tertiary institution, even if you do not get accepted, no problem IY will help you no matter what. IY really helps everyone in the community to make their dreams come true through an educational foundation. Being an NGO whose sole responsibility is to ensure that the children in the society improve their marks and venture into post matric establishments, we have a number of people coming in and out of the centre. 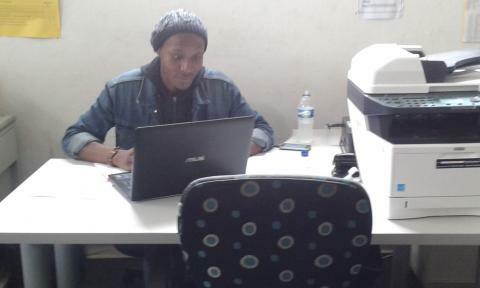 Therefore quality and comfortable furniture is essential for productivity, which is why we forward massive gratitude to TransUnion, GSK and CAF SA for the donation of office furniture, their support helps us continue in our mission to assist those in need from in and around our community. The generous support of individuals like them makes it possible for our organization to exist and to make the community a great place to live in. TransUnion donated office desks, a number of chairs, cabinets, a television, toaster and a microwave, items everyone at the office is excited about. All the furniture is great especially the desks and comfortable chairs, and people have stopped fighting for the coordinators chair when she is not around, now there are plenty of comfortable chairs to go around. The setup looks very professional and can allow us to be more productive and these resources will be crucial for long term sustainability of our organisation. 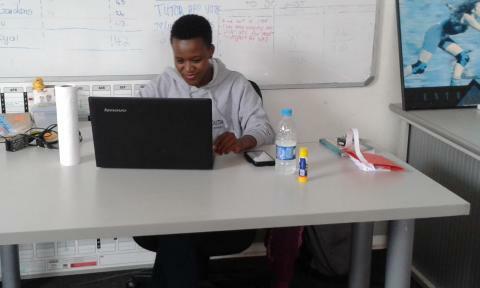 The need for quality studying/tutoring desks and chairs seemed small at first but we now realise how much it affects both concentration and productivity. “Team building activities are essential for every organization. Some think this is about playing silly games but that is not the case. The team building activities were designed to create unity, develop good relationships between all members, giving them experience of working with different team members and to introduce processes so that they work effectively together. 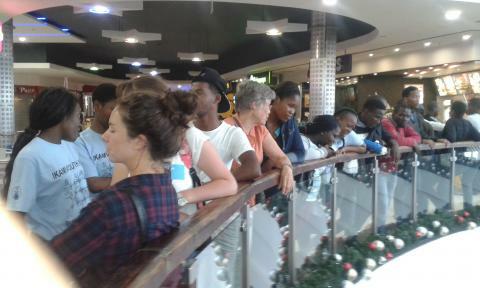 I strongly think we achieved that today”- said the activities instructor Welsh Dube. 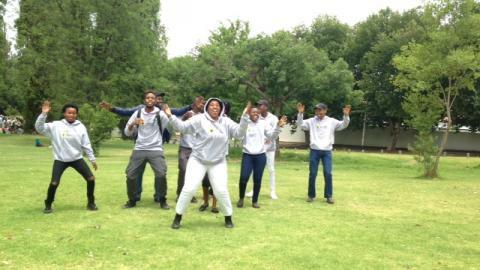 Participants were required to form teams, elect a leader, create a war cry and complete the challenges set for them. 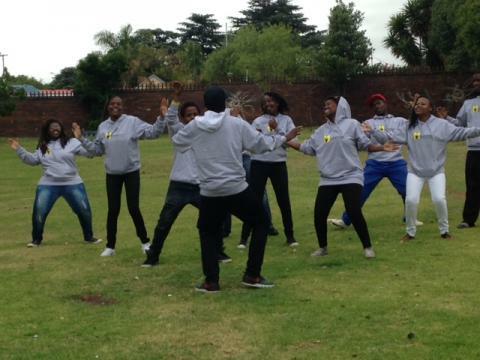 The day was full of laughter, shouting, singing and dancing as tutors were enjoying team building exercises. 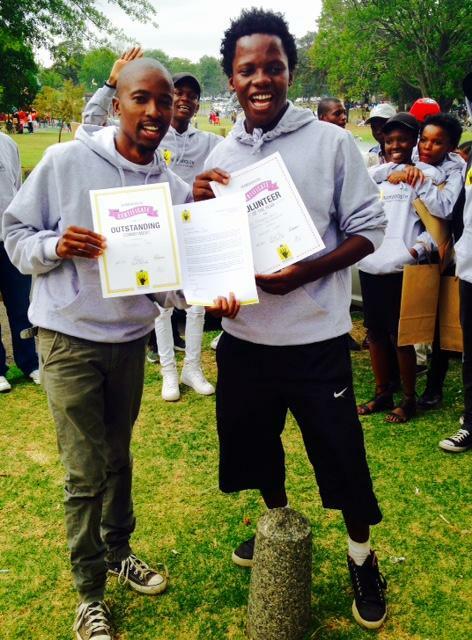 Both the Ebony Park and Ivory Park staff members handed out certificates to appreciate efforts made and services provided by volunteers to IkamvaYouth. The categories for certificates were: Outstanding commitment, certificate of appreciation, volunteer of the year and appreciation letters written by IY Director Joy Olivier. Tutors were very happy to receive their certificates. They were shouting, rejoicing as they went to collect their Awards. 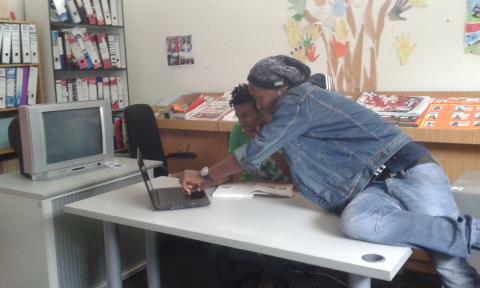 Ikamva Youth really values their hard work. The experience with Zoe-Life and their ICS volunteers was amazing and educational to both tutors and learners that were involved in the workshop. We were taught different types of bullying; emotional bullying; physical bullying; cyber bullying; and also sexual bullying. IkamvaYouth learners were engaged on an educational game that dealt with the use of drugs and alcohol, and how it can affect your life, people around you and your body and mind. 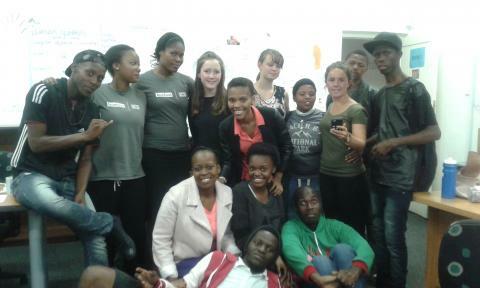 Learners got an opportunity to ask questions pertaining to their lives or what they are currently facing. 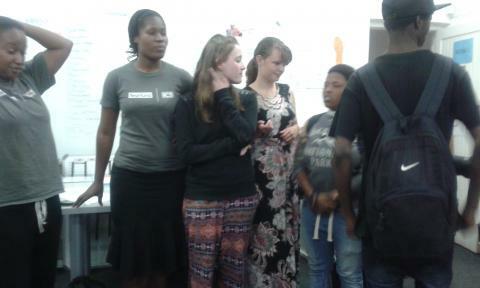 The ICS crew delivered in terms of reaching out to the IkamvaYouth learners, helping them in understanding what bullying is, the effects that it has; what drugs are and how they can destroy your life; what alcohol is, and how it can harm one’s life. 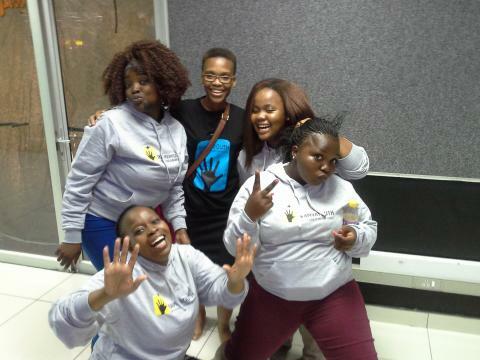 They ran another workshop covering issues around HIV and AIDS and these workshops really made an impact on the Ikamvanites and we are grateful as IkamvaYouth Chesterville.